The fillies often run well as seen in the Race History of the 2018 WATC Derby at Ascot on Saturday. Like A Butterfly has been in great form before the 2018 WATC Derby (2400m) at Ascot on Saturday. 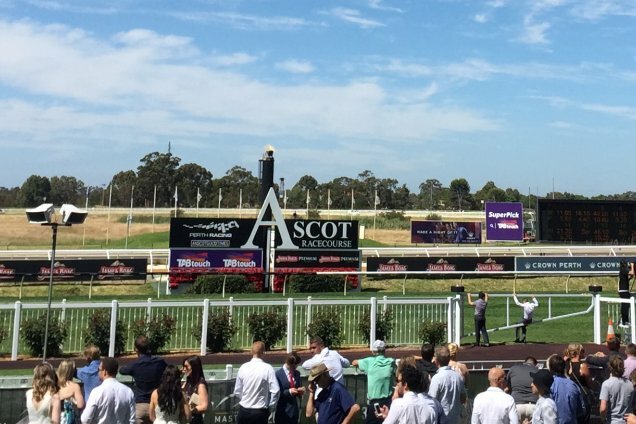 The WATC Derby is a classic race for three-year-olds conducted by the Western Australia Turf Club at Ascot racecourse in Perth. Also known as the Western Australia Derby, the race was first run in 1888 and is one of Perth’s most historic events. The WATC Derby has been run under set weights for three-year-olds over the traditional classic distance of one and a half miles or 1 1⁄2 m since its inception. From its inception the WATC Derby was run in the summer as part of the Perth Cup carnival until 1988 when it was moved to April. The race reverted to the summer in1993 but returned to an autumn date in 2002. The WATC Derby is currently a Group 2 race, a status it has held since 2012. From 1979 until 1991 it was a Group One race, dropped to Group 2 in 1993 and 1994 and was again a Group One race from 1994 until 2011. Only once has the WATC Derby not been run at Ascot when it was transferred to Belmont racecourse in 2005. In 1993, due to the changing schedule, the race was run twice in May and December. The 2018 WATC Derby will be run over 1 1⁄2 m at Ascot for prizemoney of $400,000. It comprises the second of the WA classic double after the running of the WA Oaks for fillies the previous week. Some 28 fillies have won the WATC Derby including 10 since 1994. Many outstanding horses have won the WATC Derby, including several winners from leading interstate stables since the race became a viable target for horses traveling from the eastern states over the last 40 years. Among the famous winners of the WATC Derby have been the champion Eurythmic. He won the WATC Derby in 1919 and went to win the 1920 Caulfield Cup, 1921 Sydney Cup and many weight-for-age races in Melbourne and Sydney. Other notable winners of the WATC Derby include Easingwold, Hyperion, Raconteur, Nicopolis, Dayana, Asgard, Bottled Sunshine, Ngawyni, Stormy Rex, Mighty Kingdom, National Gallery, Joindre, Belele, Heroicity, Beaux Art, Crying Game, Plastered, Guyno, Grand Journey and Delicacy. The last interstate trained winner of the WATC Derby was Markus Maximus (Peter Moody) in 2009. Delicacy (2015) and Dreamaway (2011) are the most recent fillies to claim the WA Oaks/WATC Derby double. Arcadia Dream finished runner-up in the WA Oaks before winning the WATC Derby in 2016. The leading jockey in WATC Derby history is Frank Moore with seven wins between 1953 and 1969. Bart Cummings trained four WATC Derby winners between 1972 and 1977. The 2017 WATC Derby was won by Gatting from Very Tempting and Chill The Champers.